In honor of Alan's birthday, here's another shot of him. 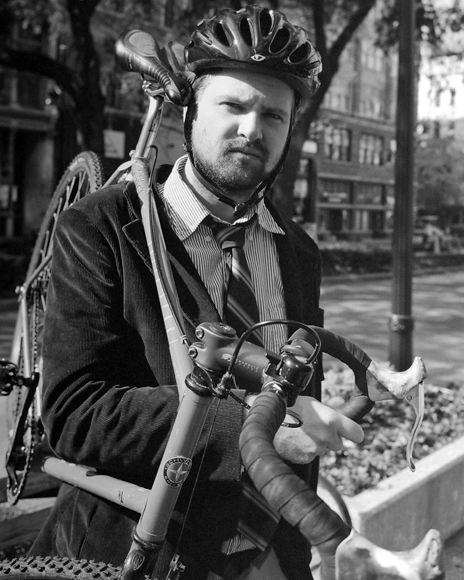 This time with his bike, and a tie. Who knew.